ONE GETS to hear this statement often at deliberations: “The future of the cleaning business is fantastic”… But, there is a distinct change, as now they say “the future is robotic”! 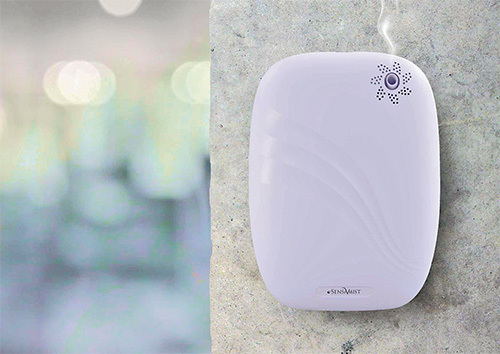 The pronounced use of Internet of Things across different industries has had its impact on the cleaning segment too. 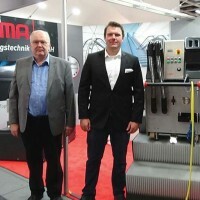 The increased participation of software companies at the CMS Berlin show was immediately visible, indicating a new era in the cleaning and facility services business. 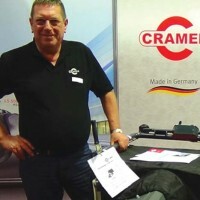 Germany traditionally has been one of the major producers of cleaning products and many more are entering this market. Feeding majorly the local and European markets, besides the US, the UK and other Far East countries, manufacturers are looking at newer fast growing economies like India. 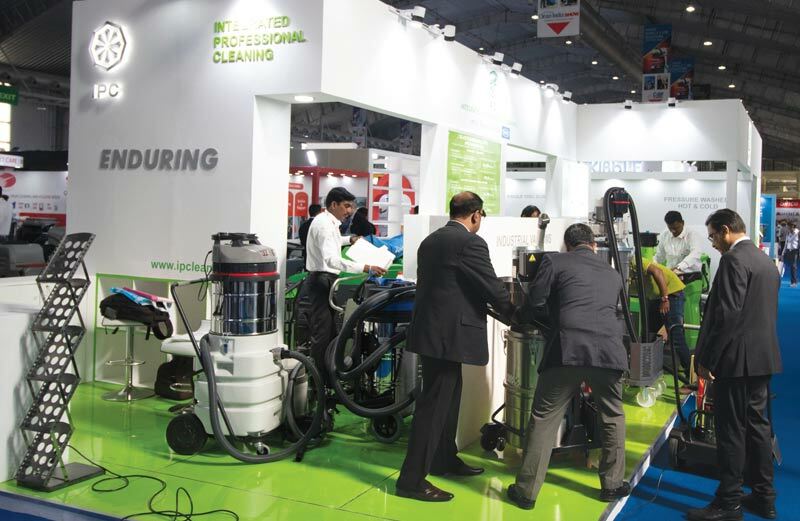 Cleaning machines & equipment and cleaning, disinfecting and hygiene care products on display at CMS Berlin had many innovative factors which could be customized to suit various applications in India. Some of the distinct innovative features include ecologically safe products for dispelling bad odours with natural smells, paper and soap dispensers with elegant designer articles, hygiene sensitive sensoroperated devices, far-reaching tools, sustainable and energy efficient machines, optimum use cleaning agents, unique robotic scrubber-cleaner, sweeper powered by a lithium-ion battery, better ergonomics and ease of operation equipment, Stingray system for inside cleaning of windows, devices to access areas that previously could only be cleaned by hand, new design daytime cleaning machines for noise-sensitive areas, and new apps for operating devices in new ways, for instance with a smartphone or tablet PC. More than 20,000 representatives attended the CMS exhibition at Berlin, including some 17,000 trade visitors from 66 countries. The high point on the opening day was the presentation of the CMS Purus Awards. 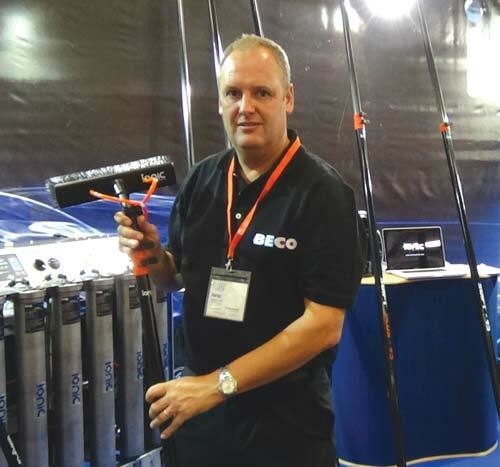 The winners of the awards for good design were Kärcher (Brand Communication), Nilfisk (Machines), SCA (Washroom Hygiene) and Vileda (Equipment). 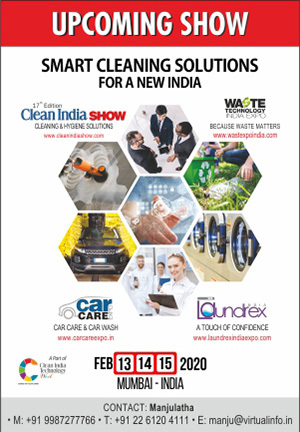 Clean India Journal met exhibitors spread across four halls and found that many international companies are open to entering the India market. 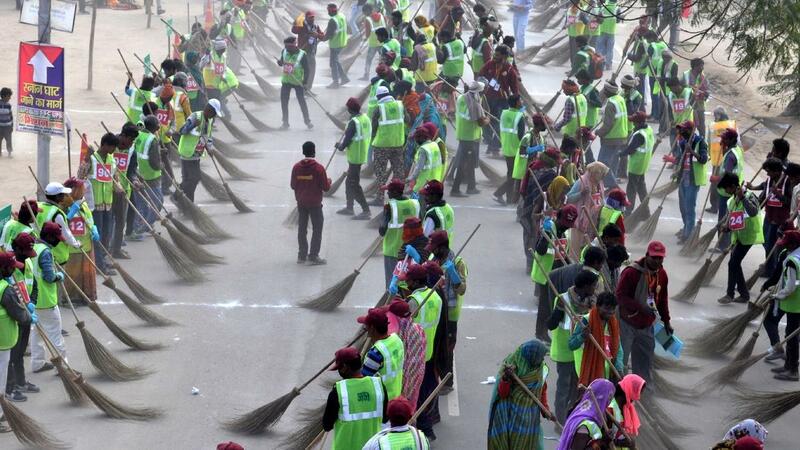 They are looking for suitable partners, franchisees and distributors in India and have sought the assistance of Clean India Journal to get them connected to the right business associates. 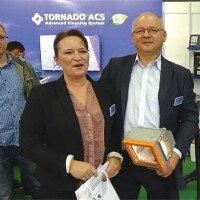 “We will give full marketing and p romotional support to our distributors,” said a few enthusiastic exhibitors. 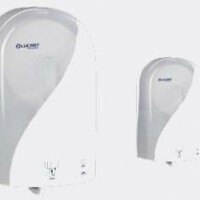 Introducing a unique concept, Lucart displayed the first autocut dispenser for toilet tissues. The autocut system, enables the user to get one tear-off sheet at a time, enhancing lower consumption, reducing the risk of clogging and avoiding senseless waste. 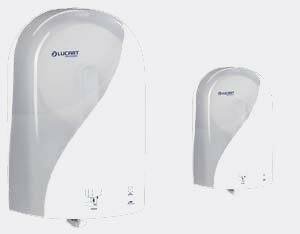 The Warsaw award winning product, is equipped with push-bar, with silverion- based antibacterial protection, simplifies refiling and helps in the event of insufficient paper dispensing. The paper, 900 single-use, 23cm-long sheets, is dispensed already and ready for use by the dispenser for the user’s convenience. Eco-friendly system, easy opening and refilling system, elegant transparent design and low waste concept makes it a unique and sustainable solution. 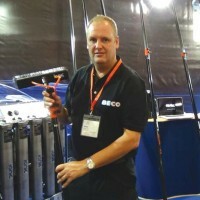 LOOKING FOR DISTRIBUTORS IN INDIA.